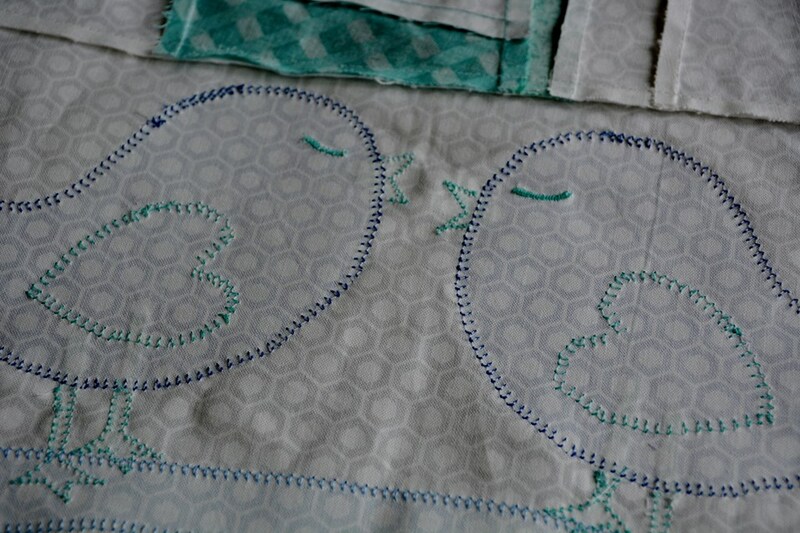 Recently I shared the baby quilt I made for my new niece. The little stinker hasn't arrived yet--I was hoping she would be my little birthday twin. While I wait for her grand entrance, I thought I'd share the wedding quilt I made for her mom and dad. 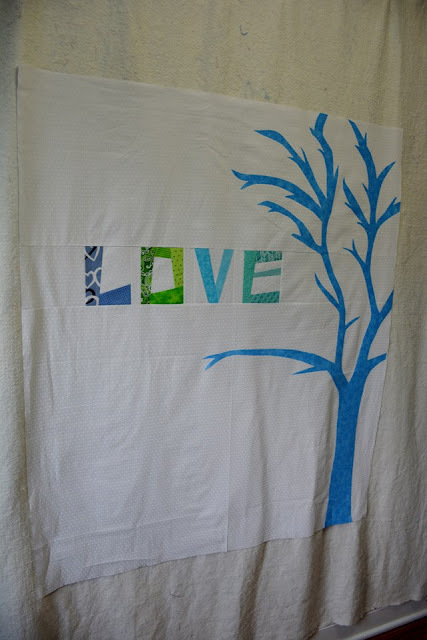 When my sister and brother-in-love were married in September 2012, I was not yet a quilter. That would come about six months later when my 3-year-old son ask for a Thomas the Train "blanket." 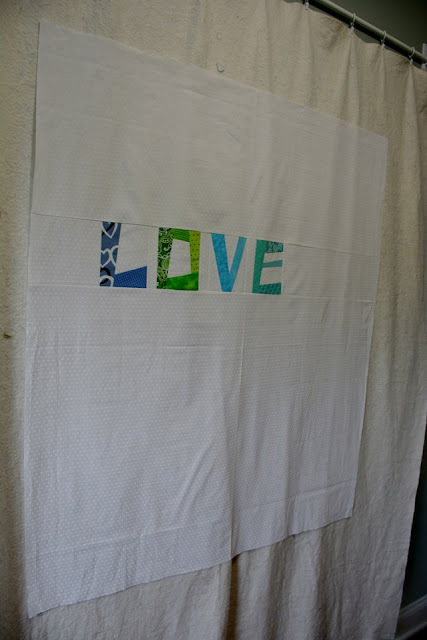 It took another two years before I felt confident enough to make them a wedding quilt. Since there last name is Burd, birds are a common theme in their house. My inspiration was this fabric I bought at Joann shortly after they got married. As it turned out, I only used it on the back. 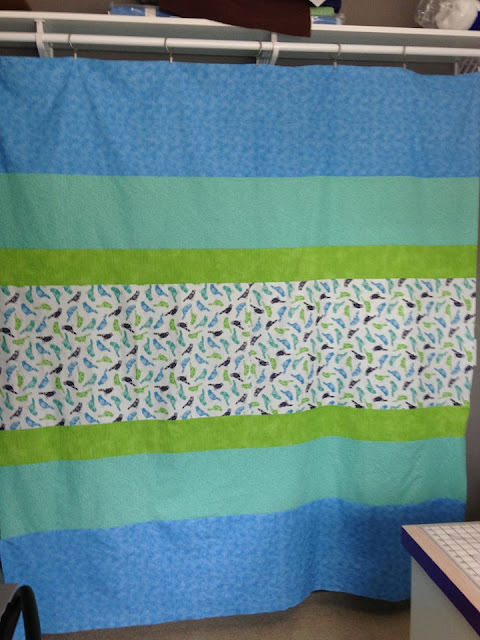 This quilt marked my first time paper piecing. The LOVE pattern is from Kelly Sews. I knew I wanted to do something with love birds, so when I saw her pattern, I knew how to get started. I put the letters together with a white background. 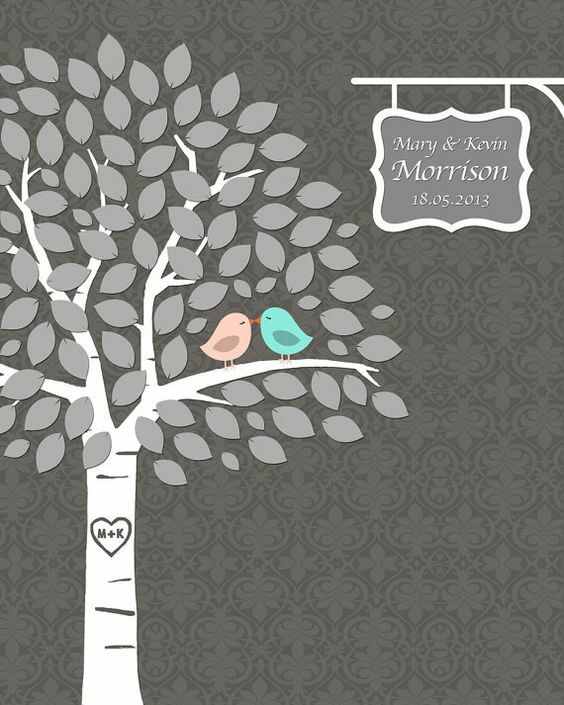 For the tree, my inspiration came from this adorable guestbook from Custom By Bernolli on Etsy. I'm sure there was an easier way to make my tree so I won't revisit my process here. Once I finally was happy with how it looked, I appliqued it down. My favorite part was adding their initials in the tree trunk. So tiny! Then I added the two love birds on the branch. I used my Silhouette Cameo a lot on this quilt! Finally, I added heart shaped leaves. After placing the leaves, I got really comfortable with applique! Finally, I added borders in colors matching the original bird print that inspired the project. For the back I used extra fabric from the borders, and the bird fabric. The label is one of my favorites. 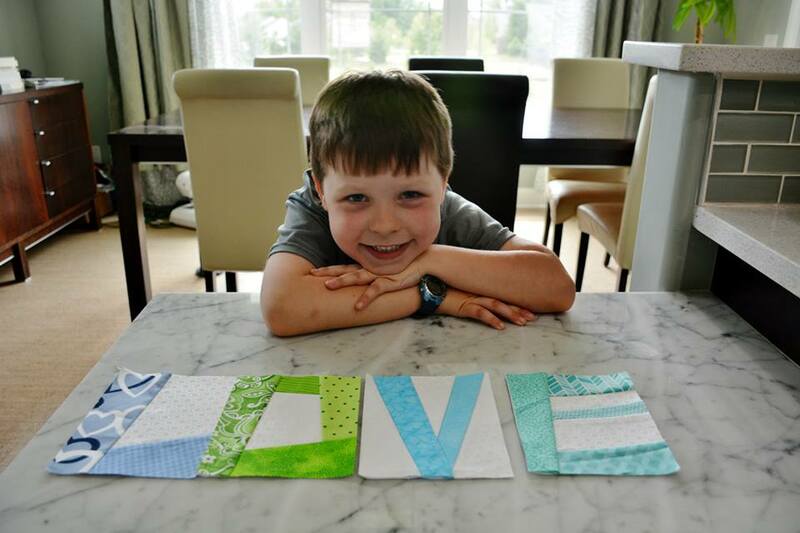 We had a few days after I finished the quilt before we delivered it, so D had some time to test it out. The impetus for finishing this quilt was that our family was headed from our home in Ohio to northern Minnesota to fulfill a childhood dream of mine to attend camp at Concordia Language Villages. On our way to camp, we made a quick stop at my sister Carisa's house. Liz came over and I was able to deliver my quilt in person. (I also made a quilt for Carisa, which I still need to share). It's hard to live so far from family. It makes me happy to know that there is something of me with them. 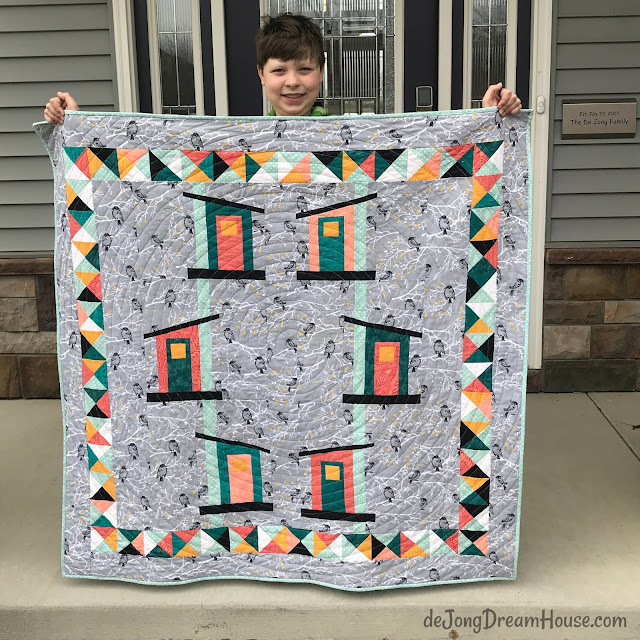 Those are both beautiful quilts and they will love them! Such a great idea for this bird quilt - and I love your color choices! So cute! Love those heart shaped leaves and those adorable birds. Thanks for sharing this on Wednesday Wait Loss. 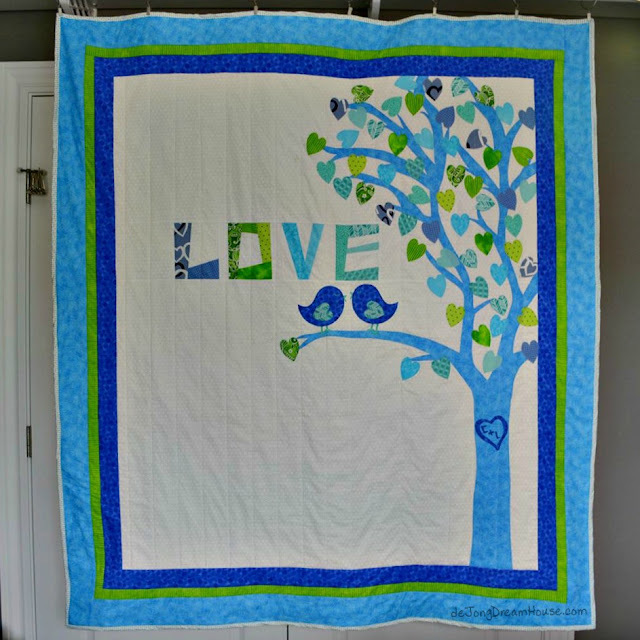 They are both beautiful quilts, but that adorable love birds quilt is my favorite! Wow, this is fantastic! What a great wedding quilt! I LOVE the tree! 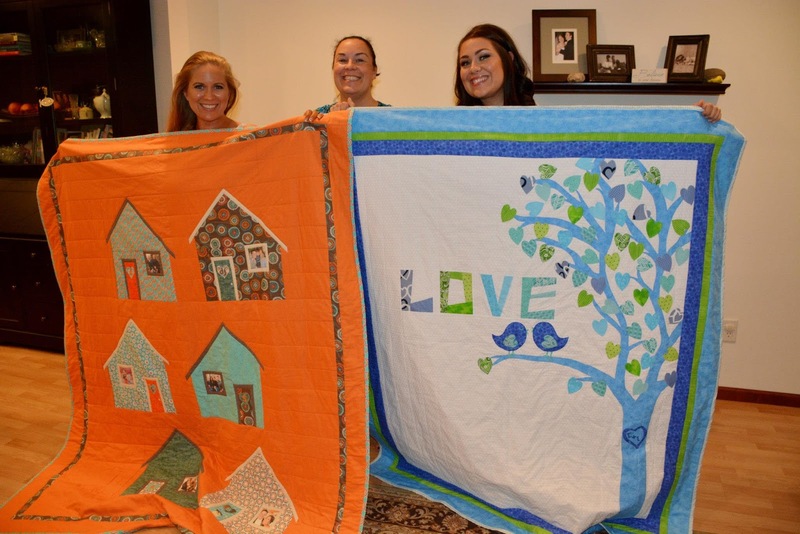 This is such an amazing quilt! I love the birds! 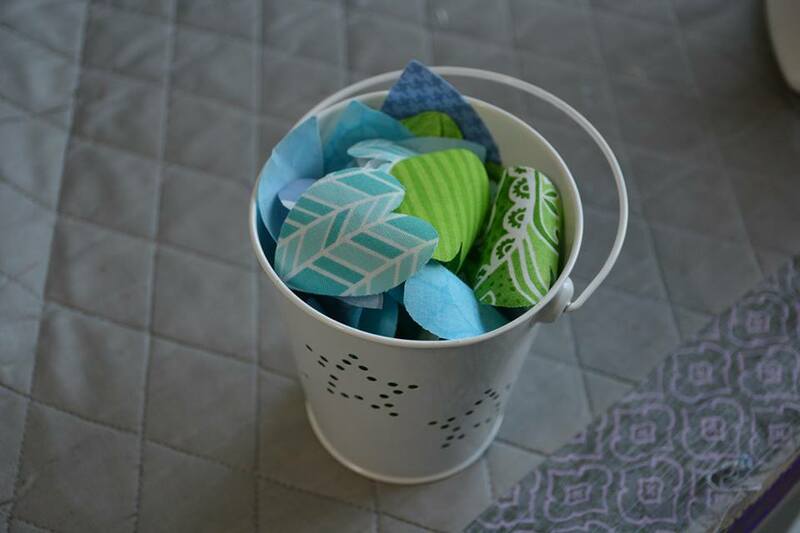 Your quilts are always really sweet gifts. Love the Burds on the back and front, very clever. I love your love tree. I love your generous spirit. I really like seeing your handsome helper. I am interested in the process and you did an excellent job documenting it. I am currently working on a fusible applique project that will be appliqued with mono filament clear thread so that it will be invisible, and thus less detail to fuss about. I haven't done this before so it will be a new skill.